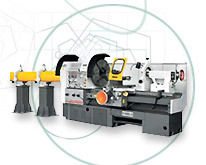 The universal lathes from the list of VEDI International Ltd. are designed for various turning operations and machining of work pieces between centres, in chucks, faceplates or special holders, with or without steadies. These types of lathes can be used for machining cylindrical, conical and face surfaces and for cutting of metric, inch, module and DP threads. The design of the machines provides possibilities for high precision machining with high productivity in operations with work pieces with diameters up to 1600 mm, length up to 10 000 mm and weight up to 15 000 kg. 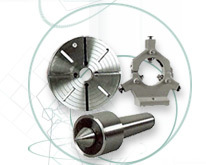 By customer's request the machines can be equipped with a big variety of accessories and cutting tools. Choosing the lightest or the heaviest lathe you always choose quality, which we guarantee.